The only comprehensive, low-cost, single-source, integrated, nationwide employee wellness training program provided live and on-site, which actually demonstrates how you can put your own back, "back-in". In a wide variety of industries across the nation and, in what may be a record for the industry, in a 4 year period, Peter Guske PT has instructed over 16,000 employees nationwide. Let our clients tell you in their own words on these Videos... they exemplify the typical reaction by people in all walks of life, from top level management to ground floor new employees, from office work environments to heavy labor, from employees in their 20s to those in their 70s, to what has caused people everywhere to be caught up in the excitement of The Back Saver System: Truth and authenticity. It's the kind of excitement that comes from hearing new, bold truths from a genuinely authentic, qualified, experienced professional for the first time. ​This Is Not For You...If Your Only Interest is in "Checking the Boxes"
With The Back Saver System, you can dispense with outdated, overly intellectual discussions or nostalgic, abstract concepts such as "improving holistic intrinsic and extrinsic behavioral motivators to change the culture of the safety/health mindset and improve employee engagement." (Does anyone even know what that means anymore?!) With The Back Saver System, you will also not receive old, vague general advice like "we need to exercise more" or "It's all about calories" or "We need to stretch and strengthen our back muscles". We've been given this advice by the establishment medical community for decades...with very unimpressive results! (3,4,13,14,15) These above 3 videos are just a few examples of the response to the new, meticulously researched, refreshingly specific, concrete, highly effective techniques and realities revealed in The Back Saver System that inspires busy people to take the time to express on camera and in writing, their sincere appreciation. ​On the Other Hand...If You're Busy and Place High Value on the Newest, Compact, Comprehensive Approaches that Integrate Health with Safety...Then This is For You. People who value their time, don’t have time for fluff-filled courses loaded with obsolete nutrition information, same old aerobic-stretch/flex exercises or standard how-to-lift-correctly information, all of which have been shown to be ineffective (5, 6,15) . It is because these people are busy that they seek to cut-to-the-chase and strip away all the unnecessary items. They've grown weary of training which oftentimes gives the perception of providing old, repackaged, superfluous information filled with abstractions. They need new, hard-edged, immediately effective techniques that really work, in the shortest possible period of time. They recognize unique, cutting-edge training instructed by someone who has actually had to "pick things up" himself. Someone who has directly treated back pain patients for decades, participated in reducing employees fatigue/diabetes, high blood pressure/blood sugar/cholesterol and administered real, lasting weight reduction in hundreds of subjects. They want the unvarnished truth. Our clients repeated use of The Back Saver System for all of their newly hired employees, some clients for nearly the last 18 years, tells the story even better. (see our "Success Stories" under the tab "ROI"). But the point has been made. As noted in this small sample of videos, if your personnel are front-line-newly-hired employees, or 30 year veterans, if they sit most of the day looking at a computer screen or if they are on their feet constantly moving, in any job and at all income levels, in companies that employ thousands or just a dozen people, and at all ages, they all found something very exciting in The Back Saver System, something to which they had never been exposed to in all their years of experience, even those with decades of training and exposure to the health/safety field. Perhaps not previously in safety/health training history has a course been re-ordered so consistently by so many results-oriented, successful health/safety personnel, managers and businesses. When effective companies re-order so many times, it causes a rumbling effect throughout the training community that is quite unsettling to those who would have you believe all training is the same or especially to those who charge much more, for less efficacious training. It seems clear there are exceptional, innovation-minded companies and health/safety leaders, who also have not lost sight of the traditional value and reality that the most powerful ambassadors for their company, for their advertisement and for their brand, is their employees. Dedicated and savvy safety/health professionals, whether they are responsible for 10 or 10,000 employees are also weary of bearing the skyrocketing cost of healthcare expenses that are not mitigated by fitness/health and injury prevention training mired in old myths and timeworn or outdated protocols. These forward-thinking safety personnel want the truths revealed in The Back Saver System, regardless of what they may be. "Unbelievable...I saw my people using the techniques right after the class..."
“This course should be offered many times...he availed himself to everyone afterwards...phenomenal presenter!" "Excellent speaker...he made it easy to listen and to learn." Whether the two are administratively separated or not, health is invariably integrated with safety. It is only recently that the enormous expense associated with the relationship between health and safety has been documented so well (9,10,11,12). You can quickly and easily integrate your safety training with health, by use of The Back Saver System: Needing a tiny fraction of the time and space of conventional health/safety programs, there has never been a single-source, thoroughly-researched, new, comprehensive, highly effective, integrated, low-cost training program as The Back Saver System. So with common sense, straight-forward and results-oriented thinking, The Back Saver System presents the first comprehensive, compact system that focuses on these 3 priorities of health and safety. Whether you are in manufacturing, wholesale, retail, hospitality, the public sector/government, utilities, IT, healthcare, chemicals, foods, oil/gas, agriculture/aquaculture/forestry, mining, insurance, services or construction, when you effectively reduce the incidence of the above “Big 3”, virtually all other safety/health issues are dramatically reduced (8,13,14). (Of course there are always additional accidents, motor vehicle mishaps, trauma, etc. But from the perspective of total expenses and human suffering, these accidents do not even come close to the catastrophically large costs, shouldered by employers, and caused by the above "Big 3" (1). ) The Back Saver System originally built its reputation by shattering the myth that you need to have the formal training of a licensed physical therapist, chiropractor or medical doctor to effectively treat the vast majority of spinal pain. The Back Saver System delivers exactly what is needed: Simple, rational explanations for the true causes of the "Big 3" problems and others, with effective specific solutions to these problems. Solutions that work for anyone, at any stage in life, at all ages and all conceivable work situations and environments and in a small percentage of the time of other approaches. We are living a longer lifespan than ever. As individuals, we are spending more money on health and fitness, gym memberships are up, we are spending more hours exercising, we are exercising more frequently, the number of weekly visits to the gym by members is up, employment for trainers in gyms is up, we are spending much more time on our health/fitness, more health clubs are being built and utilized(2) ...but our health is down and injury rates are stagnant or up! (3,4,13,14) Of the 3 most expensive health and safety issues for any employer mentioned above, all 3 are increasing in incidence and money spent. (1) (Not to mention the fact that in the last 15 years, the rates of obesity, high blood pressure, high cholesterol, etc., also have all gone up. (3)) In short, we are doing more in sheer volume and time spent, but we are getting less in return and results. Doing a greater volume of exercise appears to be correlated with decreases in health status! How can this be? How could the medical/healthcare/fitness community preside over such a colossal failure? Where did we go wrong? The Back Saver System demonstrates that there are some fundamental errors being made with regard to the traditional training geared toward reducing certain injuries such as lower back pain, since they have ​not been shown to be effective (5,6,13,14). Also, employee training/information with regard to improving health/fitness, aerobic exercise and traditional strengthening, although well-intentioned, can actually cause more harm than good and for most people it too often results in discouragement, frustration and then understandably, people simply quit. The Back Saver System explains, in straight-forward terms (most oftentimes we're doing too much, too frequently and the wrong type of exercise), how you and your employees can dramatically reduce the incidence of the Big 3 and greatly reduce healthcare costs, in a small fraction of the time spent on conventional gym workouts or traditional exercise sessions, with no elaborate equipment and no additional floor space needed. The above video samples give only a small indication of the overwhelming enthusiasm which is creating a new, natural groundswell, a bio-friendly and sustainable healthcare freedom movement in this country that is gathering momentum at a rapidly accelerating pace. It’s characterized by a healthy impatience and an ever-growing desire for individual control of your health, a need for truly useful information and a deep-down yearning for natural techniques that make you more self-reliant on your own ability to decrease pain and improve your own health and ultimately a longing to use your own internal inborn abilities to do so. 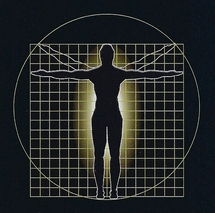 Using this new application of science, based upon sound, well established anatomical, mechanical and physiological principles, of the utilization of natural internal leverage mechanisms within your own body to move, mobilize and profoundly affect and actually change the structure and metabolism of soft tissues, discs, other joints, the cardiovascular system, muscles, ligaments and tendons within your own body and thereby reduce and abolish pain. One of the goals being, to ultimately become as independent as possible from professional help for controlling your own healthcare. This is the essence of The Back Saver System. The explanations and solutions of The Back Saver System will not only reduce pain and ameliorate untold human suffering, but will have a profound effect on the future of the participant’s health for the rest of their life. The Back Saver System elevates individual control of your health. It gives employees personal control and empowers them to use their innate natural bodily ability, backed by medically-sound, well-established anatomical and physiological principles, to decrease pain/stiffness and improve strength/health, provide personal autonomy and individual control to keep you pain free and healthy at any age. The Back Saver System further explains that much of current establishment medical advice, medications and especially surgery suppresses the natural bio-compatibility of the spine, other joints, your cardiovascular and muscular system and decreases your freedom and ability to individually control your health. Where Do Our Clients Operate? ...and Where Do We Go ? Curious About What's In The Back Saver System...That Has the Forward-Thinking Leaders of Health/Safety So Tuned-In ? Like most everyone else, for years I believed, as I was taught at the college and university level: back injuries and back pain are caused by muscle weakness, muscle imbalances, lack of core muscle strength, muscle tightness, or muscle strains/sprains. One of the most popular fitness books of the last 20 years states directly "The #1 cause of low back pain is weak abdominal muscles and tight hamstring muscles." From a clinical treatment perspective, the focus was, and still is, in most clinics, entirely on muscle. And it appeared to make sense to me. Then I sustained a serious back injury myself and that changed everything. It sure didn’t feel like a muscle injury to me. This was something much deeper than muscle. Now I began to consult colleagues, other licensed physical therapists, physicians and chiropractors, as well as draw on my years of treating back pain patients (many of whom I recall telling me: “When I hurt my back it felt like something much deeper than muscle”.) To my dismay and surprise, not a solitary professional or specialist was able to assist me in reducing my back pains for any length of time and I have heard this same lament from so very many patients over the years. (It is disconcerting to say, but in all candor, it has been my direct experience that the average medical doctor has no idea as to what is going on inside your back and has not a clue as to what to do about it.) Further incentivized by my consistently recurring pain, I investigated, researched and even worked directly for Arthur Jones (inventor and creator of the Nautilus empire) on a new and ultra-modern very expensive lower back muscle testing and strengthening machine. All of these sources echoed the same advice which was based in some manner on conditioning muscles. But my patient care experience kept nagging me with this reality and contradiction: There are too many people who, like myself, were in great physical condition, my muscles were already very strong, I had incredibly well developed abdominal muscles, I was continuing to exercise regularly, my hamstring muscles were super flexible, but yet my back continued to hurt and I was plagued by intermittent episodes of sharp, stabbing pains characterized by extreme intolerance to backward (and to a lesser extent forward) bending. Then I asked the question anyone should ask someone who tells them that muscles are the primary cause of back pain/injuries: Do you still have back pain? The truth is that most clinicians with back pain cannot even get rid of their own pain. And even more telling was the reality that when a physical therapist hurts his/her back, they, themselves virtually never practice the very techniques and exercise that they advocate for their patients, especially regarding prevention and health. Additionally, further research showed me there is no scientific evidence, no histological (cell damage) evidence, no evidence of any muscle imbalances and no pathology (disease or damage) that has ever been detected, seen or examined in any lower back area muscles that would explain back pain (7). Shamefully, the condition that gets the most attention from clinicians such as Physical Therapists, Medical Doctors and Chiropractors (namely, muscle problems), is associated with the smallest amount of scientific evidence! Data on how pain is generated by muscle problems is simply lacking. When looked at scientifically, there is no means of determining a reliable diagnosis for muscle injuries in the spine. When subjected to true scientific scrutiny, the diagnosis for muscle dysfunction of the spine has failed. Additionally, despite all of the educational programs in industry directed at correct lifting, muscle strengthening and related ergonomic training, despite enormous advances in other areas of healthcare, from robotic surgery, micro-electronic prosthetic limbs, to genetic engineering----a shocking reality was staring me in the face: In over 30 years, the incidence of back injuries on the job has not gone down! (5,6). In summary: In the entire field of medicine, we have not advanced with regard to treating back pain or preventing its recurrence. What I eventually discovered was that although muscles do need to be strengthened, this needs to be done after the true cause of pain is first abolished. More specifically, I learned that through the utilization of natural internal leverage mechanisms within our own body, we can move, mobilize and profoundly affect and actually change the structure and metabolism of soft tissues, discs, other joints, the cardiovascular system, muscles, ligaments and tendons within our body and thereby reduce and abolish pain. Most importantly, anyone can be taught how to do this. Shouldn't we resolve to get rid of the pain first? And then, after the pain is gone, start working on the muscle? By working on muscle first, have we put the cart before the horse? Could it be that by focusing on muscle first, we were on the wrong path? I found a better way. As I began to move into my 30s and 40s, like so many of us, I began to put on weight around my midsection and started to experience aching pains and stiffness not just in my back, but other joints as well. This was not just in the mornings, but after sitting for only an hour, I felt stiff and sore when I stood up. 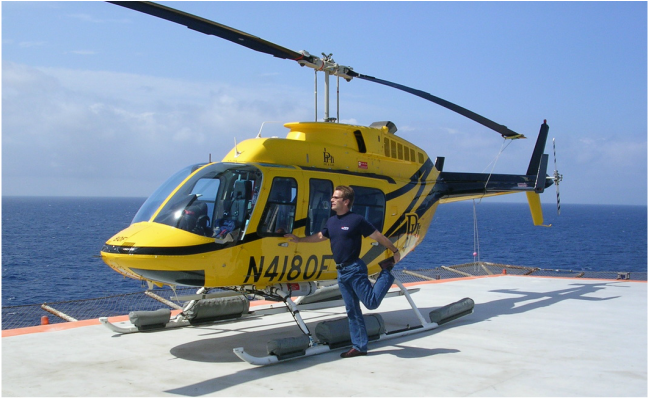 I again consulted numerous experts in the field and was told to "stretch more". But I was already engaging in a 20 minute stretching routine before each of my 3 weekly workouts. Concerning my ever expanding midsection, I tried numerous fad diets from Low Carb to Low Fat to Low Sugar. I tried "The Popcorn Diet", the "One Meal per Day Diet", "The Zero Carb Diet" and others. I tried various supplements, powders and shakes, all without long-term success. (The truth was; with any diet, eventually I found myself to be constantly hungry and in a desperate search for some type of food or supplement that would satiate me.) I was told by the medical establishment and read in numerous journals that losing body fat is simply a matter of taking-in less calories than you burn up. I was told the answer is simply “eat less and exercise more”. I found this to be great advice---assuming you don’t mind being permanently miserable, always hungry, constantly waiting for the time when you can have your next meal, always counting calories, forever limiting portions and unable to focus on anything else in your life due to continuously being distracted by the sight, smell and thought of food. It simply wasn’t worth being miserable. And it didn’t work. Also, like millions of others, I supplemented this wholly ineffective establishment advice with diet and exercise routines in fitness and bodybuilding magazines and web sites, only to continue to age with progressively increasing pain and stiffness in my back and other joints. There is nothing that makes you feel old, more than a constantly stiff and aching spine and other joints! And all of this even though I was exercising more and longer. Not to mention the depressing reality of witnessing the gradually increasing girth of my belly. How do public health guidelines address the issue of weight loss? Public health guidelines tell us we should get at least 150 minutes of exercise per week. I can say without any equivocation, that I, and most everyone else, is not willing or able to devote that much time to exercising. (Especially since the most common reason people give for not exercising is, “I don’t have the time.” In fact, when people read these guidelines of 150 minutes per week, the idea of getting into shape by making that large of a time commitment can seem daunting and prevents many people from even starting.) However, unstated by those same health guidelines is the reality that there are simple effective ways to become more lean, trim, muscular, healthy, without any hunger pangs, (and get get rid of joint stiffness), at virtually any age, in a small fraction of the time that is recommended by those public health guidelines. (Would you believe 30 minutes per week is more than enough ?) Could it be we were put on the wrong path? I found a better way. One of the most common questions heard in a physician’s office is “Doctor, why am I always so tired?” Chronic fatigue, although related to a feeling of tiredness, is not the same as simply being tired. It is the almost daily feeling of lack of energy or low energy, sleepiness, sometimes the lack of being in the mood for doing just about anything, it is oftentimes related to your general disposition, it affects our tolerance of others and our level of calmness, patience, anxiety or enthusiasm. It can be characterized by a daily roller coaster ride of energy peaks and dips that can plague a workforce, reduce productivity and is a major cause of injury/accidents that no one wants to talk about. To those who say fatigue is ‘all mental’ and due to your attitude, the truth is there are way too many people who have a great mental attitude, but suffer from intermittent but consistent chronic fatigue episodes. This is not something that needs to be "managed from a corporate perspective", but rather is simply and effectively treated by the individual, with proper education and simple dietary changes that have an incredibly powerful almost narcotic-like effect in abolishing chronic fatigue, increasing energy and improving mood, totally naturally. The overwhelming majority of physicians have no idea how to effectively treat this condition and have not the time nor the inclination to investigate how closely fatigue is related to diabetes, pre-diabetes and metabolic syndrome. All of these are totally reversible. But yet, diabetes is currently growing at exponential rates. The medical community has been totally remiss in addressing this issue and for not-so-good reasons, prefers to treat this with very powerful medications whose side-effects can be devastating. Oftentimes chronic fatigue is lumped in with depression, where then the usual plan is to prescribe potentially dangerous and addictive psychotropic medications. I found a better way to totally get rid of chronic fatigue. The first contemporary example of the people taking control of their health came with the fitness boom of the 1970s which brought us Aerobics and Nautilus exercise equipment (and some would later rightly argue that it caused more health problems than it solved.) The course that is inspiring the second wave of the people taking back their freedom, self-reliance and individual control of their health, their ability to treat their own pain, become healthier and become free from the need to seek professional medical help, this time more natural, in a smarter manner, backed by advances in scientific evidence, now much more time-efficient, applicable to everyone and at any age, is The Back Saver System. If you prefer playing your cards face up, if you appreciate truth and sincerity, and have a natural disdain for pretense, you will easily relate to The Back Saver System. Specific answers and techniques are provided and demonstrated, devoid of the multiple abstractions and generalities common in other safety/health training programs. The Back Saver System shows that much of what the establishment medical and fitness community has been proclaiming as their guidelines, are wrong ! And The Back Saver System shows how to set it right. Even if you are already suspicious of some claims made by the establishment medical community, if you are skeptical of government agency edicts on nutrition/health, if you are leery of endorsements by athletes, if you are doubtful of advice in bodybuilding and fitness magazines, if you are skeptical of published journal research (often funded by outside sources and loaded with conflicts of interest) and if you are uncertain about information in popular web sites and you are already in the habit of recognizing truth and honesty, you will feel a renewed strength in having the correctness of your perceptions and suspicions reaffirmed. For employers, the picture is clear: Empower your employees by providing to them the tools of The Back Saver System.